The view from Taste of the City. 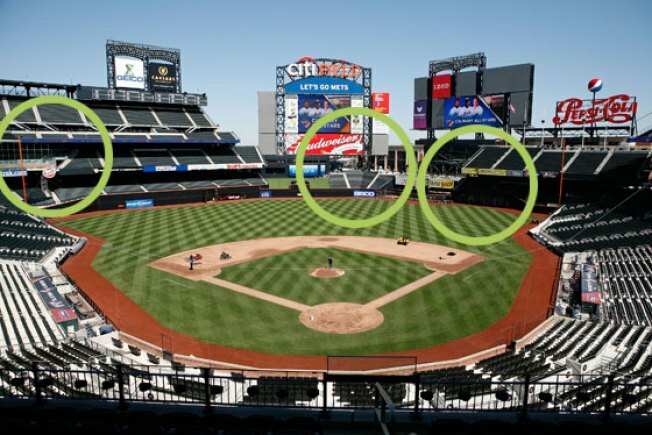 -- This area is behind the center-field wall, and includes field-view seating and jumbo screens to catch play-by-play while waiting in line. -- Concessions: Shake Shack, Blue Smoke, El Verano Taqueria, Box Frites, Nonna's Deli (pasta and pizza), Big Apple Brews (every beer you've ever heard of). -- Technically it's part of DannyMeyerLand, but Dave Pasternack's seafood stand is separate from the rest of the area, much farther to the right-field corner of the field level. -- Lobster rolls ($17), Long Island clam-and-corn chowder and fried-flounder sandwiches and such are on offer here. The Mets batting tunnel, as seen from the Delta Sky360 Club. -- These VIP lounges are scattered throughout the stadium, but the most serious of them is behind home plate on the "Sterling Level." It's run by Union Square Hospitality Group and offers a bar, plus cafe-style sandwiches and coffee; on the third-base side there's a proper restaurant. 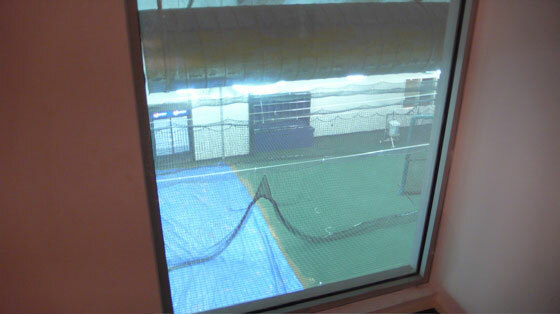 -- Coolest thing in the stadium: The club has a window (above) that looks into the Mets underground batting cages, so that real fans can watch players warm up before they're even on the field. Hot. 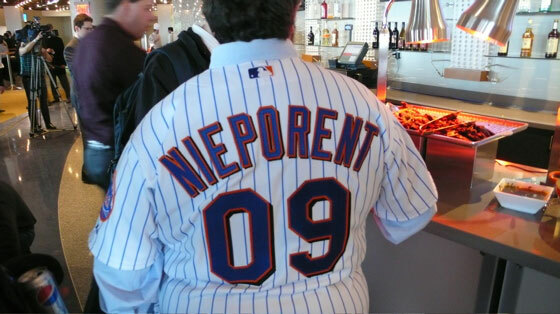 The real reason to open a restaurant at Citi Field: You get your own authentic Mets uni. -- Enter Drew Nieporent, whose Myriad Restaurant Group is managing this restaurant with tables that have fantastic field views. -- The executive chef of Acela is Michael Sobelman, previously of Tribeca Grill. 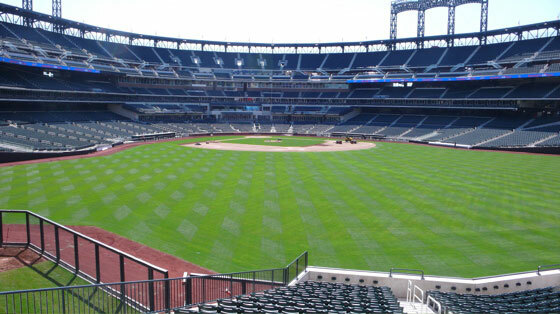 -- Anyone with field box seats or better can make a reservation at the 350-seat venue. -- Opens 2:45 before game time. -- Speaking of which, HERE'S THE RESY LINE: 718-565-4333. -- This is the sit-down option you want to pay closest attention to. -- Located on the field level in right field, this is the least articulated of Citi's food offerings, but it's roughly a takeout market. -- Grill food (think chicken and burgers) is on offer here. -- This is the only place in the stadium to get sushi.